in the Keadeen Hotel, Newbridge. 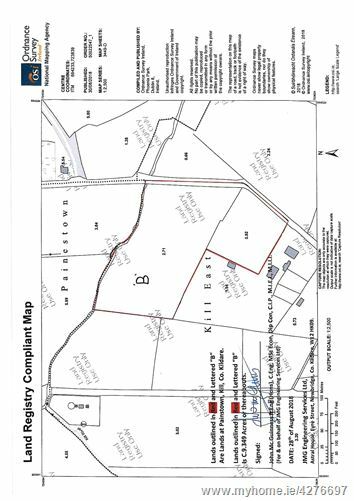 The property is in an excellent location just outside the village of Kill (2km) with frontage onto both the Straffan and Barberstown roads. It is easily accessible to a range of locations including Naas 8km, Straffan 8km, Newcastle 12km & Dublin 30km. Junction 7 of the Naas Dual Carriageway is only a 2 minute drive. The entire is close to a number of Golf Clubs including Palmerstown House, Castlewarden Golf & Country Club, The K Club and Kileen Golf Club. 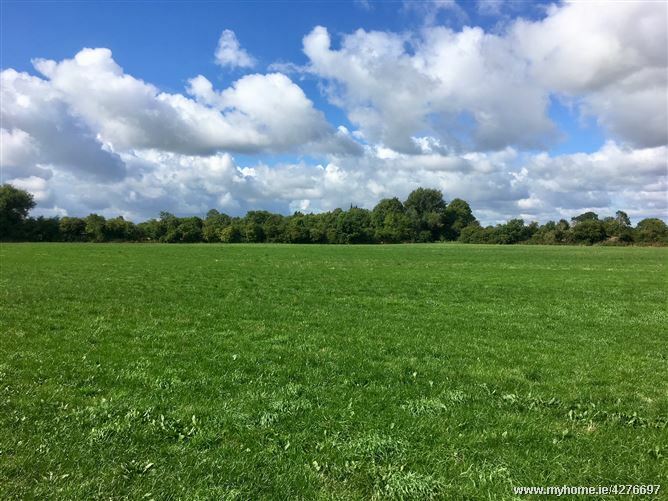 In addition to this Goffs Sales yard is a 5 minute drive and there is excellent accessibility to the racecourses of Naas, The Curragh, Punchestown & Leopardstown. 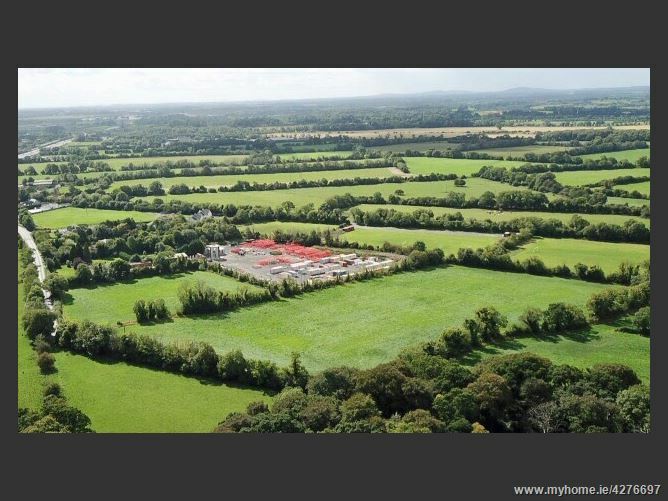 9.5 acres (3.84 ha) of top quality lands with frontage onto the Straffan road of circa 240 metres. Currently in 2 divisions the entire would be an ideal site for a residence subject to obtaining the necessary Planning Permission. ESB and water on the road. Myles C. Murphy & Co, Newbridge, Co.Kildare. Take the N7 south bound, exit at Junction 7 and go back over the motorway bridge towards Straffan. Continue for circa 2km and lands will be on your left with Jordan signs. Take the L2007 towards Kill going for approximately 8km. The lands will be on your left with Jordan Signs.